For the vast majority of small businesses, the company’s first and only real estate transaction is entering into a lease for commercial space. Whether you are considering office, manufacturing or retail space, the following three tips will help you navigate the negotiation process so you can avoid any unpleasant surprises or costly mistakes. Most prospective tenants focus their negotiation efforts on the “base rent,” the fixed monthly amount you will pay under the lease agreement. You may have negotiated a terrific deal on the base rent, but the transaction may not be the best value once other charges are factored in. 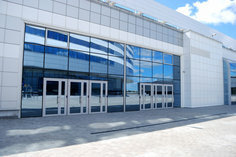 For example, the majority of commercial lease agreements are “triple net,” meaning that the tenant also must pay for insurance, taxes and other operating expenses. When negotiating “triple net,” ensure you aren’t being charged for expenses that do not benefit your space, and that you are paying an amount that is in proportion to the space you utilize in the building. Another provision to watch for is “percentage rent,” in which a tenant pays a percentage of revenue in excess of a specific amount. This may not be a bad thing, as it provides the landlord with an incentive to help ensure your company is successful. Your lease agreement may contain many provisions that require you to send notification to the landlord under various circumstances. For example, if you wish to renew or terminate your lease at the end of the term, you will likely owe a notice to the landlord to that effect, and it may be due much earlier than you think – sometimes up to a year or more. Prepare a summary of the key notice requirements contained in your lease agreement, along with the due dates, and add key dates to your calendar to ensure you comply with all notice requirements and do not forfeit any rights under your lease agreement.